This is really premature, but I am in the planning stages of a Quilt-Along. I have so many things going on, that I am thinking this will start at the end of summer; kind of a back to school quilt-along. Plenty of time for me to get everything worked out and for you to plan ahead a little. 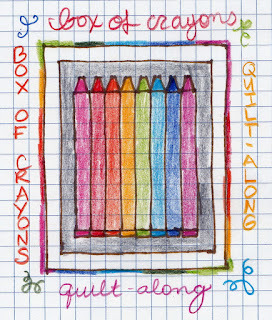 This will be charm square friendly, so great for all your Rainbow and I Spy charm swaps. I'm a sucker for rainbows. I am 41..and a kid at heart..so no, not to juvenile. 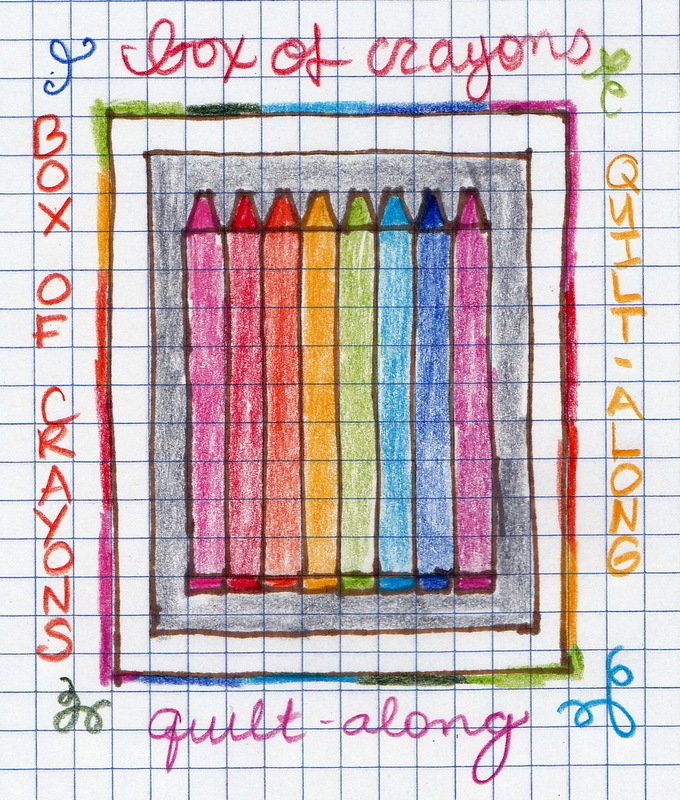 And your box of crayons picture would be an awesomely cute and easy quick quilt to make! I am guessing you made it as your quilt along button? like I said.. would make a great quilt, or even quilt block! Oh so fun! Can't wait to see more Courtney. I love your drawing. Hope you're having a great week.